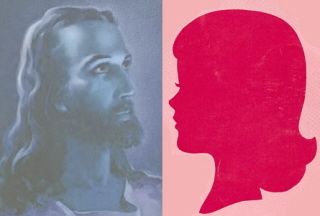 I was groomed to be an evangelical fundamentalist. For a long time, I was one. My indoctrination was thorough. I thought I was happy, and I thought I was right. This earnestness carried me all the way through college, after which I began to see the world differently. After years of truth-seeking and non-church-going, I’m exquisitely happy to report that I’ve found a more peaceful way of being in the world. I’m still earnest but a lot more … balanced. And the thing is, I’m a lot nicer, too. Will we find the missing charm scrolls? Freeing the Bible from the traditional, literalistic interpretation makes the truth all the more powerful. Instead of worrying about sin, you start wondering how you can help people. Instead of being dogmatic, you become curious and understanding. Instead of thinking everyone else is wrong, you start appreciating them. Instead of working toward heaven, you fully enjoy the present moment. Instead of approaching the world with an agenda, you spread peace and kindness. Instead of buying into fear, you uncover beauty in your own very particular way. Instead of looking to others for answers, you connect with your innate wisdom. Instead of passively awaiting God’s will, you take responsibility for your life. If I emerged, anyone can. I know I’m not alone. Maybe not everyone was sent to a Jesus-branded charm school, but plenty of likeminded people are looking for broader truths, hoping to find a higher plane than the “I’m right, you’re wrong, good luck in hell” way of seeing the world. Some of the simplest truths are the most transformative. Of course, simple doesn’t always mean easy. So now I have these two blogs. Here, I revisit charm school lessons from my old Christian Charm Manual textbook and reveal how I left fundamentalism behind. Over at my other blog, the Charm-o-Matic generates techniques, tips and totems for a happy life. I created a Charm-o-Matic for myself when I came to the shocking conclusion that I was responsible for my own happiness. Now the Charm-o-Matic is where all self-respecting machines belong: online. Oh, and it has a Charmifesto of its own. *No offense to the actual Jesus intended. Jesus is not a registered trademark of organized religion. I will check back often for new posts, even though I am not nor have I ever been a fundamentalist young women. I have lost a few family members to fundamentalist intolerance. What should be an oxymoron is a defining trait. Thanks so much – good point about the intolerance. I appreciate your feedback.